ATEX Approved Thermocouple and RTD Transmitter - Head Mounting - TC Ltd.
with ATEX/IECEx approval Weatherproof and explosion proof die cast alloy head. 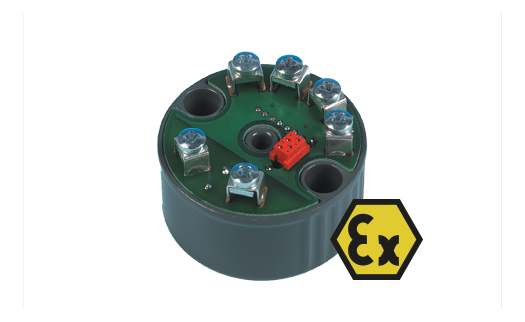 Suitable for simplex, duplex and triplex. ATEX approved. Housing Dimension : 43mm Dia. x 27mm H.